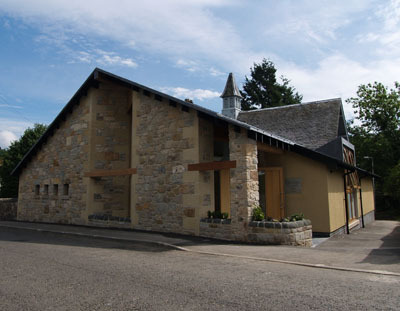 In 2008, thanks to financial support from many sources, a new and exciting facility was created through the regeneration of the Glenfarg Village Hall. The much-loved, but rather elderly building was transformed into a vibrant, multi-activity centre for the whole community. As well as the Scouts and Guides, a huge range of regular activities now takes place in the Hall. Activities include Badminton, Scouts, Fiddle and Accordion, Baby and Toddler Group and the Community Cinema. The Hall is also well used for events such as dinners, church services, and school activities. Every April it hosts the main concerts in the Glenfarg Folk Fest. There have been a number of weddings and it is hoped to increase such booking in future. Details of regular activities in the hall are printed in the Glenfarg Newsletter.